Sometimes it’s really difficult to use words to describe reality. Often it’s so unbelievable that can’t be true. I’m talking about vehicles, especially those from future. Automotive technologies and design have rapidly advanced during last years so the newest models haven’t anything common with previous models. Every car manufacturer wants to be up-to-date so they sometimes produce very unusual creations. But we can also see exceptions that look like a car thanks to cool heads of designers and developers. They’re visible because of their distinctive and amazing design that is sometimes spooky. And this is the case of the cars known for their approach to the reality. Ultra powerful engines roaring everywhere, sharp design; these are symbols of the manufacturer with a bull in its badge. 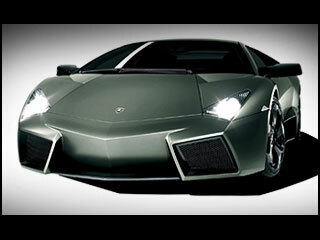 No doubt that a owner of the newest Lamborghini Reventon needs to be a hard bull-fighter. LAMBORGHINI REVENTÓN - a jetfighter or a car ??? „When I’m older, I’ll buy a sports car.“ – This is a typical sentence told by every young boy. Ferrari, Porsche or Lamborghini are No.1 dream cars in all decades. But it’s a very difficult task to meet this dream. 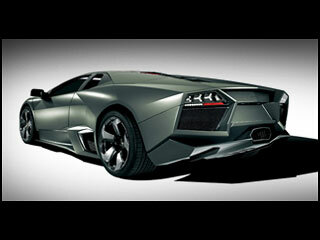 And today’s Lamborghini Reventon is one of the most difficult dreams to meet. Everybody thinks a little bit longer when hears the word „Lamborghini.“ How a tractor manufacturer became the no.1 in the world of super cars? Simply it’s because of hard work and patience. Lamborghini has been always manufacturer of fast cars since its automotive start in 1963 – remember of the most famous models as Miura from 1966, Countach or Diablo and the winner is known :). Lamborghini has a bull in its badge, so also Reventon is a name of famous bull owned by Don Rodriguez. This bull killed a famous toreador Felix Guzman in 1943 during a bullfight. Is this a hidden message to Lamborghini’s customers? The new Lamborgini (costs astronomical 1 million euros excluding taxes) is different than its brothers. Stephan Winkelman, a director of Automobili Lamborghini said:“ The model Reventon is the most extreme one from all our models and it’s a real automotive delicacy.“ Then we can understand why there are only 20 cars. And what’s this all about? The first look at the furious bull can be a little bit confusing, because we’re used to see Italian design full of elegant lines and simple curves full of emotions. But the Reventon is an exception – plenty of sharp edges everywhere. Maybe there’s no rounded line on the car. And that’s why this car is unique. Why this step? Answer is simple – its designers were inspired by F-22 Raptor jetfighter. And this jet is really sharp. The whole study was born in a Lamborghini’s birthplace - Italian Santa Agata Bolognese, in cooperation of Lamborghini’s Centro Stile (Style Centre) and Lamborghini Research and Development Department. It’s based on favorite Murcielago LP640, just a little bit modified :-D .
It’s clearly visible that the Raptor’s color is used also on this machine. It’s military grey-green paintworks, but that’s not only thing common with the aeronautics industry. 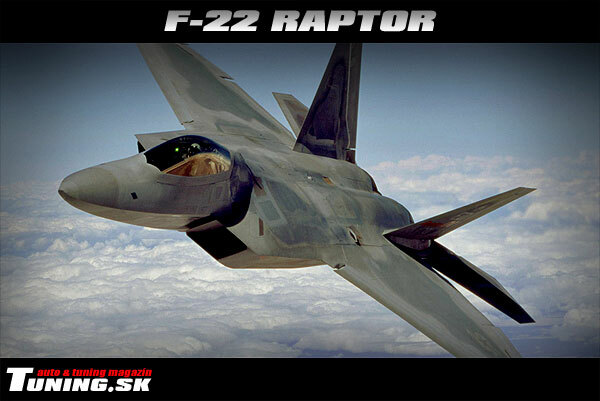 As we said, the designers were inspired by the F-22, so they used also the most important- its aerodynamics. And the aerodynamics and stability must be perfect because of the car’s top speed. The bodykit’s design is amazing and it’s made of carbon. The front part has dominating sharp edges of the top and two big openings. Their mission is to cool enormous front brakes. A diffuser and a pair of inlets can’t miss. Light is provided by a pair of bi-xenon headlamps with LED technology. It’s true that the designers took a lot from the jet. Also it’s very low car as other Lamborghini’s models. The most distinctive detail is a pair of huge openings near the rear wheels that supply air to the powerful rear brakes with vented discs (as the front ones). Aggressiveness is really visible and fear is real :). Very sharp lines are also situated at the back. Sharp openings for hot air off-take, big exhaust tip, bottom diffuser and much more – these are main characteristics of this real car. Tail lamps are using the LED technology too and it’s also heat resistant. Maybe the most beautiful view is from bird’s eye. It really looks like a jet, especially thanks to the trunk’s design. Another amazing part are wheels. It’s interesting that they’re made of aluminum and carbon. They provide not only great handling, but amazing image too. The 18“ black 5-spoke rims wear 245/35 ZR 18 and 335/30 ZR 18 tires. Always beautiful. The interior is same exclusive as the exterior. It’s seen at the first sight that this car has more common with jet fighters than any other vehicle. Those colors, materials, simply everything is inspired by the military stuff. They used the finest materials as carbon, aluminum, dark Alcantara or grey leather. All materials are mixed into the big game full of emotions. These luxurious materials are everywhere – sporting steering-wheel, sport bucket seats, roof, rugs, door upholstery, dashboard etc. Simply everywhere. There are interesting gauges like from the jet. Forget about digital models, there are three TFT displays with LCD technology. More questions? I think that all of you want to know something about its parameters. Maybe you’re disappointed, but there are no changes under the hood. And what that means? There’s a 12-cylinder 6.5 liter power plant with aluminum heads of cylinders and block of the engine. Its power is transferred to the wheels by a 6-speed transmission with shifting under the steering-wheel. The engine offers 650hp (480kW) at 8000rpm and 660Nm of torque. It catapults you to 100kmph in 3.4 seconds! Its top speed is around 340kmph, enough to feel like in a plane :) . Your opinion on Lamborghini Reventón?